Strathcona Provincial Park on BC’s Vancouver Island is an unknown gem. You can hike in Strathcona in the morning and spend the afternoon on the Ocean. What a great way to spend a holiday. The charming towns and great natural environment make a trip here a great choice. 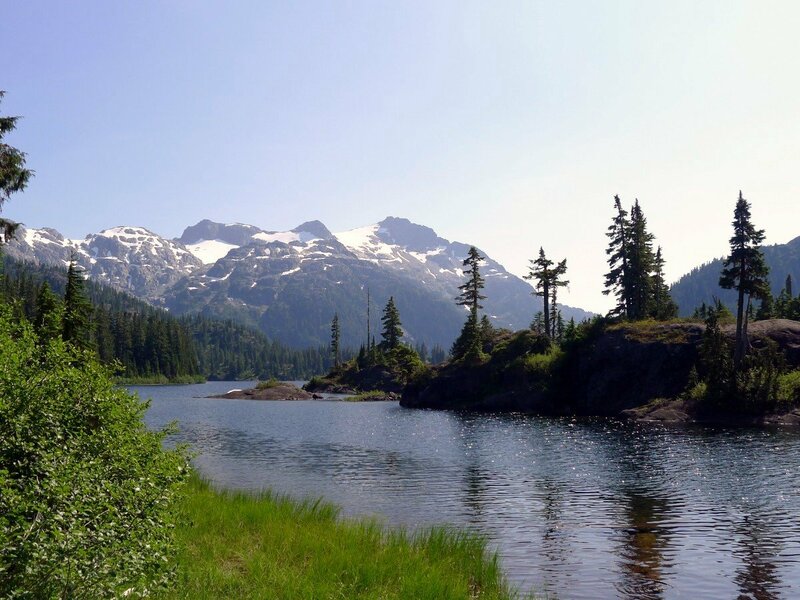 Founded in 1911, Strathcona Provincial Park is the oldest park in the Canadian Province of British Columbia. It is located on Vancouver Island. It is 250,000 hectares makes it the island’s largest park. When planning a trip to Canada’s West Coast, this central part of Vancouver Island is often missed. The coastal towns logically hold the bulk of the population and that is also where the tourists end up. 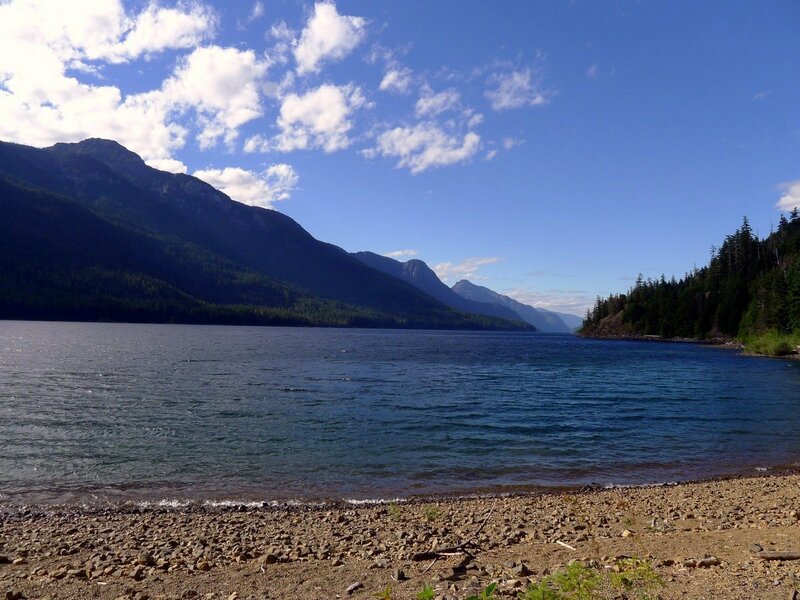 Strathcona Provincial Park might just be the best reason to get away from the coastline. This massive park has breathtaking scenery, world-class hikes, long adventures, Canada’s tallest waterfall, and lots to keep you busy. 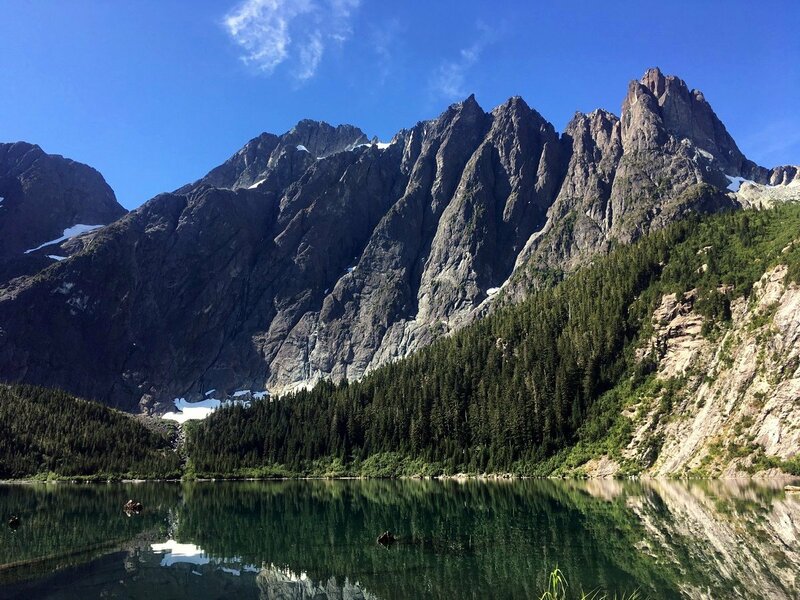 If you aren’t considering planning a trip to Strathcona Provincial Park, this guide might just convince you to start. 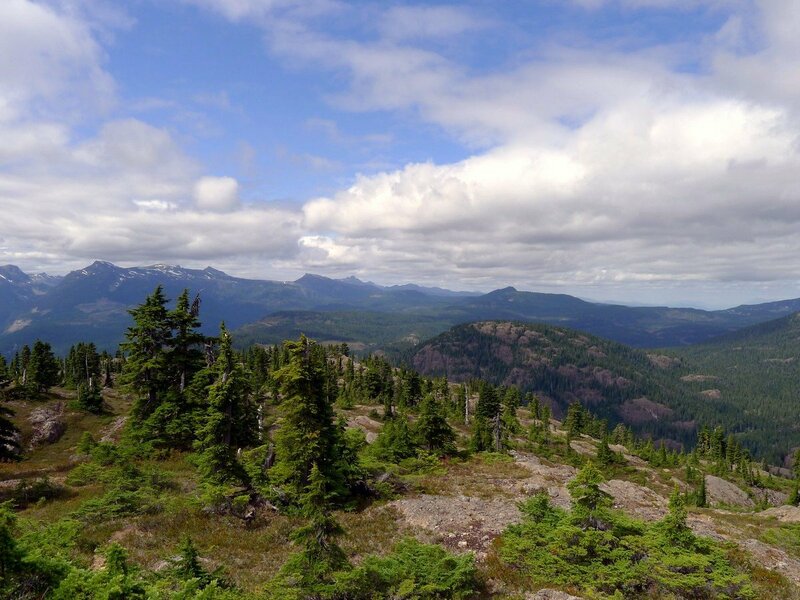 Strathcona has two main sections for the average visitor: the greater Buttle Lake area and the Forbidden Plateau. The rest of the park is mostly untouched wilderness. 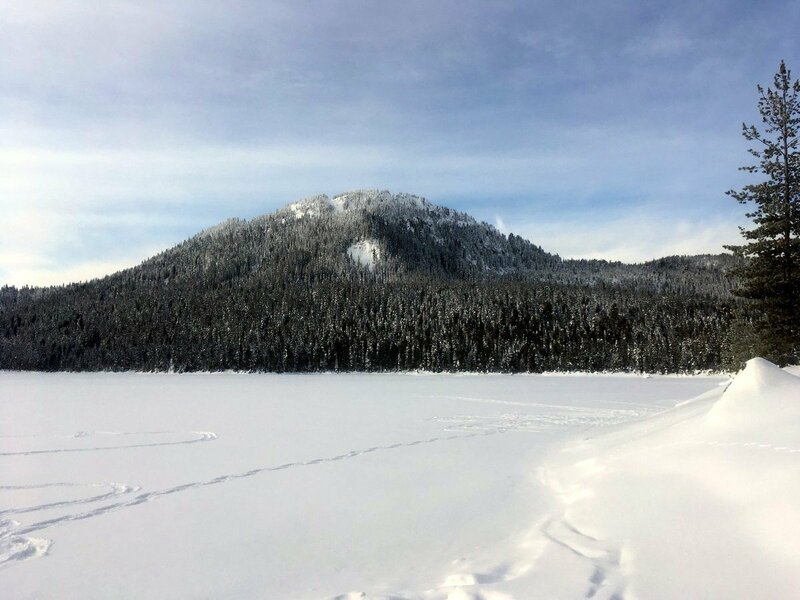 Buttle Lake is the largest body of water in the park, but there are many lakes and streams amid the snow-capped peaks. 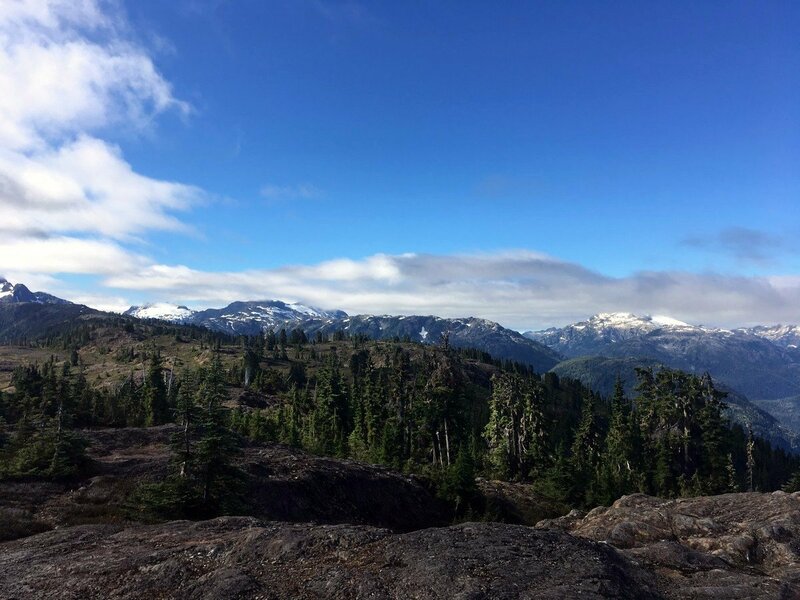 You might not expect so many giant mountains to exist on the island if you’ve only spent your time in Victoria or along the coast. While the traditional nightlife might not exist inside Strathcona Park, the stars and distant animal calls will be your evening’s entertainment. However, one can still easily enjoy all this pristine BC wilderness without stepping foot inside a tent! There are beautiful lodges nearby and some charming little towns too. The towns we focus on in this article are Courtenay, Campbell River, Comox, and Cumberland. Courtenay is the biggest town in the Comox valley (Comox and Cumberland are also good choices in the Comox Valley). Every July Courtenay hosts the Island Music Fest, one of the biggest festivals on the island. Perhaps you should plan your trip to Strathcona Park around that? Comox is just a few kilometres from Courtney and is equally charming. Comox comes from the K’omoks First Nations tribe that first settled here. K’omoks means “plenty” and therefor this area was known as the land of plenty because of its great agricultural bounty. The ocean, good golfing, temperate weather, and slow pace is alluring, especially for people looking to slow down. Campbell River is 45 minutes north of Comox. It claims to be the “Salmon Capital of the World.” We’re not sure how official that title is, but they certainly do have a lot of salmon in Campbell River. You can find amazing smoked and candied salmon throughout the city. If you’re lucky you can get some fresh salmon too. The town is more of a working town but has great views and an expanding scene for tourists. The smallest town we mention is Cumberland, and it’s not even a town it’s a village. Originally named Union when it was founded in 1871, Cumberland has retained so much charm and history. It still has lots of the old buildings from its heyday of being a coal mining town. We really love Cumberland, and one should at least drive through it while in the area. The most active airport on the Island is Victoria International Airport (YYJ), but it is a three-hour drive to Courtenay, BC from YYJ. Thankfully Courtenay is also home to the Comox Valley Airport (YQQ). This small airport might not have services to your city, but plenty of planes will fly there from YYJ. From YQQ you can get to Port Alberni, Cumberland, Campbell River or any of the other small neighbouring towns. One downside to this airport is flights can get cancelled with fog, and we’ve had flights cancelled on us in winter before. Finally, Campbell River also has an airport (YQL) which is another option. The summer is drier than the other season, and so we think that’s the best time to visit. Summer on Vancouver Island is so beautiful that it’s hard to put into words. The other months of the year can be great too, but the wind and rain will be more frequent. Vancouver Island gets a lot of flak for its rain; however, it has always been our experience that while it might rain everyday for weeks at a time, the rain will often last for a short while and the majority of your day will be rain-free. While it may be rainy and cloudy from Fall to Spring, the hiking weather is the rest of the year. 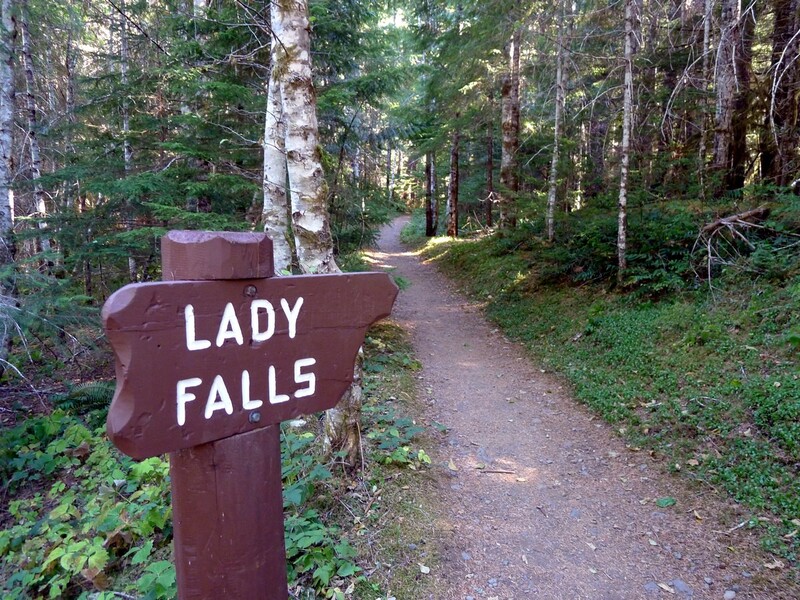 Low-level trails can sometimes start in early April and last up into the start of October. That being said, the trails at higher elevations can remain covered in snow up until late June, so always look up trail conditions before you go. Rain can also make some trails quite muddy and hard to traverse. Due to the rather remote nature of the park, having a car is pretty much required. The neighbouring towns aren’t flush with transit options. You can rent a car from Courtenay, Comox, Nanaimo and Victoria, however make sure the car rental location is at the airport. This is particularly true for Comox Airport. If you are planning to base everything out of the Strathcona Park Lodge (which is a fine way to plan your trip) then you can check out the Ambassador Shuttle Service that will pick you up in Courtenay, Comox, and Campbell River. Note that some sections of the park aren’t even accessible by car. 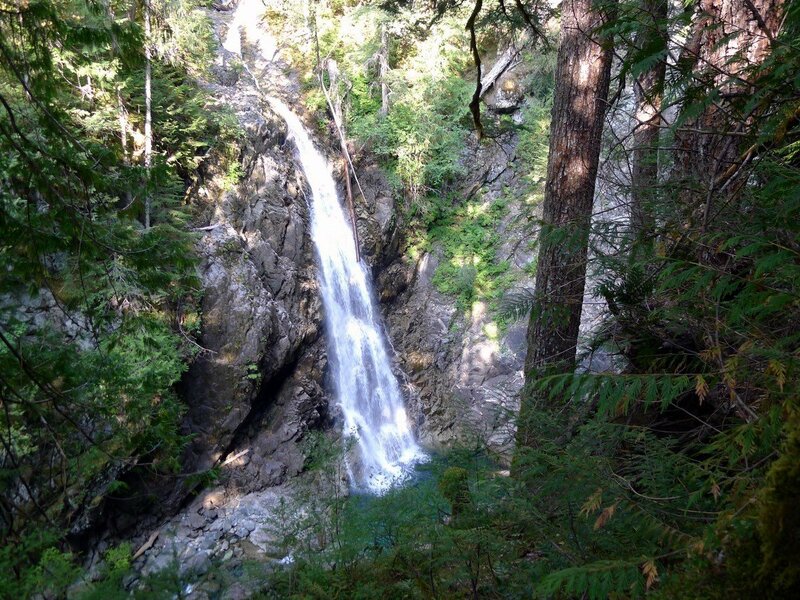 If you’re keen to visit Canada’s tallest waterfall, Della Falls, you’ll need to ferry to the trailhead and hike in. With a park as large and isolated as Strathcona, getting around isn’t always obvious. We like to think it adds to the adventure. Remember that this large park has some sections that are almost never visited by humans. There are many cities neighboring Strathcona Provincial Park. The ones we’re focusing on in this article are Courtenay, Campbell River, Comox, and Cumberland. Campbell River is the largest of these towns with a population of 35,000. The towns descend in size with Courtenay being the second largest, followed by Comox, and Cumberland coming in at just 3,700. To start us off, The Strathcona Park Lodge is a logical first choice, and it’s the only accommodation we recommend inside the park. This rustic retreat is located on the banks of Upper Canada Lake. You could spend your whole vacation in and around the Lodge. The rooms, are fine and views are beautiful. There is hiking, kayaking and canoeing right at the lodge. There is even a high ropes course and a zip line. Each morning you can start off with a breakfast buffet and you can end the day with the wood-fired sauna and then a delicious locally sourced meal. Campbell River has the most amenities of any of the towns we list, but it’s also the furthest away of those on the list. So why do we list it? Campbell River is on our list because of its amazing B&Bs. It’s like a B&B sanctuary. Some of the best hosts we’ve ever experienced are Inge and Jurgen at the Hidden Harbour Vacation Rental and B&B. The house is lovely, and the menu is welcoming and accommodating. The location also happens to be fantastic. It’s close to the beautiful Campbell River sea walk. Inge and Jurgen know everything to do in the town and will ensure a great trip. The second B&B we will mention (and believe us when we say there are more) is The Haig Brown Historic House. The Haig Brown is a step above. This old house has the feel of a British countryside estate. It’s not the typical doily and potpourri B&B. This house is a piece on art in itself. The hosts are great too. The Haig Brown is perhaps more suited to an introverted traveler with Hidden Harbour being the opposite. Either way you can’t go wrong with these two spots. Another great base of operations is the Mount Washington. Obviously, this is a great choice in the wintertime because it allows you to ski in and ski out, but Mount Washington works well to visit the park too if you have your own car. There are lots of Airbnb options for Mount Washington, typically 2 and 3-bedroom condos. The rates in summer can be very attractive. We’ve always liked staying at The Bear Lodge. The 1, 2 and 3-bedrooms suites are well-kept, and you get a full kitchen. If you want to do lots of hiking (probably the best way to see Strathcona Park) then it’s nice being able to make and pack your lunches each day before you head out. If you want to stay in the Comox Valley there is a lot of choice. For something more modern and luxurious, try staying at the Old House Hotel and Spa. While it’s not a five-star resort, they do have very updated suites, a spa, heated outdoor pools, hot tubs, one of the island’s best restaurants, and more. It’s located in Courtenay, so it’s still very easy to access the park. Courtenay is a great, growing town on the island. There is lots to do and lots of friendly people there. For something more affordable try The Riding Fool in Cumberland. What’s great about The Riding Fool is that it is an affordable hostel that also has the option of a private room. Lonely Planet named it one of the island’s best hostels. They have a pool table and a dartboard and, best of all, you get to experience Cumberland! Cumberland is a cute village that is simply charming. We’ve always enjoyed visiting Cumberland whenever we’ve had the chance. If all those options don’t sound like they’re close enough to the park, then why not camp? There are loads of great campsites in the park. Check out the Government of BC’s website to learn more. First let us mention the two great options listed above. If you can get to the Strathcona Park Lodge, try getting a table with a view at Myrna’s Restaurant. We haven’t had a bad meal there. Then of course there is Locals Restaurant in the Old House Hotel in Courtenay. They, logically, focus on local fare and have a very inspired menu. The location and ambience are good as well, although we would give Myrna’s an advantage there. If you’re looking for a good beer and a good meal after a great day of hiking why not try Cumberland Brewing? They have a solid tap list and a surprisingly creative menu. What we love about breweries with restaurants is that you can always pair your food perfectly with a beer. It doesn’t get much better. For a pub with more of a view try The Blackfin Pub in Comox. They overlook the Marina and have a solid whiskey and beer list. The food is fitting for a pub, and we’ve always had good service when we’ve gone. While you’re in Comox check out Surfside Fish and Chips. They serve tasty fried fish out of an adorable green camper. It’s the cutest “food truck” on the island. The menu is obviously small, but what they do they do well. You’ll find them down on the Comox dock. If you’re looking for a quick breakfast in Courtenay drop by Early Bird Café. Like Surfside Fish and Chips, they have perfected their niche. It’s nothing fancy, but it doesn’t have to be. They do a good job of buying local and it pays off. If you want a simpler, and sweeter, breakfast just down the road is Bigfoot Donuts. You don’t see enough local donut shops anymore. For some of us theses sweet treats are irresistible when a hot coffee is in the equation (they obviously do a great cup of coffee here as well). Maybe you can treat yourself to a donut the day after a big hike. 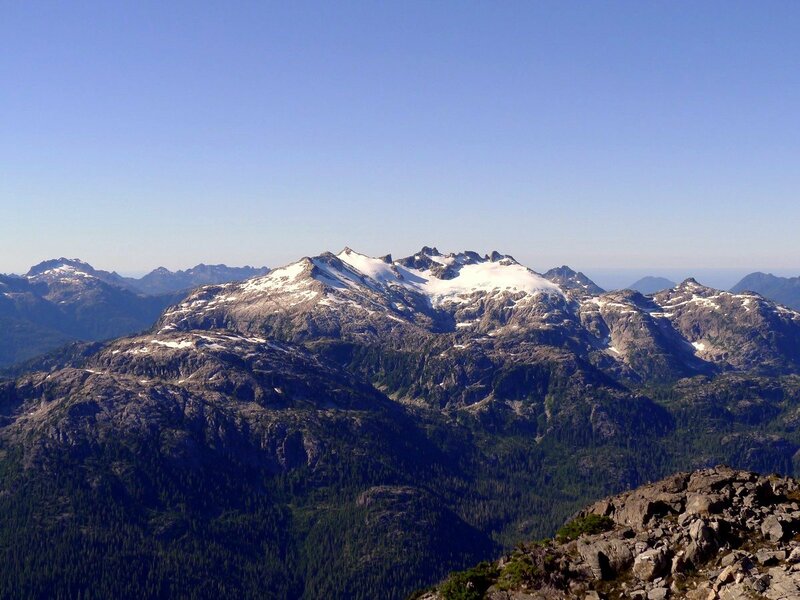 While the backcountry is big in Strathcona Provincial Park, the populations of the surrounding municipalities are smaller, which means fewer gear shops. Thankfully there are still some great shops in the area if you want to buy or rent outdoors gear while you’re in the area. For backcountry skiing, Ski Tak Hut in Courtenay is the go-to backcountry shop on Vancouver Island. They have a great selection of gear for rent and for sale and a good shop to service your winter backcountry gear. So if you want downhill, snowboard, backcountry, cross country, or snowshoeing gear then you’ll find great selection, staff and prices at Ski Tak Hut. In the warmer months visit Simon’s Cycles. You can buy or rent mountain and road bikes at Simon’s and the staff there are quite personable. Valhalla Pure, a good chain for outdoor and backcountry gear, has a location in Courtenay. You’ll find kayaks, canoes, tents, clothes, and backcountry gear for purchase. You name it, they probably got it. For a real island experience visit Blue Toque Sports Swap in Courtenay. They’ll let you drop off your gear and they’ll sell it for you. Or, if you’re looking to buy gear, you can find some great gear at great prices. They have knowledgeable staff as well. We’ve found some incredible gear, almost brand new there before. Finally, if you’re in Cumberland, check out Beaufort Cycles in Cumberland. This new shop can rent out bikes as well as paddleboards. It’s worth noting that this small island shop runs on small island time, that is to say they are only open between 10:00am and 5:30pm. We think that the hiking is really Strathcona’s strong suit. Long overnight adventures, like Della Falls, are amazing, almost life changing, and hardly anyone makes the trek. That being said, if you’re looking to change things up you’re in luck. You can go climbing, fishing, biking, canoeing, waterskiing and windsurfing inside Strathcona. Buttle Lake is the main area for all your aquatic needs. Why not rent some canoes or kayaks? You can do so easily from a variety of locations, but we like The Strathcona Lodge’s Boat Rentals. They also rent bikes, but if we had to choose one we’d want to get out on Upper Campbell Lake – it’s pretty amazing. If you’re visiting in the winter months, then obviously you’ll want to spend some time on Mount Washington. They do cross country skiing as well as downhill and they offer classes too if you’re looking to start a new hobby/obsession. Beware that the snow here can be exceptional. In good years it seems that every day is a big powder day! In the summer we like to take a trip out to Goose Spit Park in Comox. The beach is top notch for Vancouver Island standards and the views are even better. They even have fire pits available in the right season. It’s a pretty nice way to relax in between adventures. Alternatively, if it’s warm but not beach-weather-warm, head to 40 Knots Winery. The tasting room is quaint and, they might let you stroll around the vines a bit too. For some indoor entertainment, if the weather isn’t agreeing with you, these pleasant towns don’t disappoint. Take a stroll through the exhibits at the Vancouver Island Visitor Centre in Cumberland, or the I-Hos Gallery in Courtenay. There are lots of cute local shops in each town too. Bears, Cougars, and Wolves make their homes in Strathcona Park. To avoid contact, be respectful of their habitat, keep bear bells or make extra noise while hiking to avoid startling one of these animals. Always pack bear spray. Campfires are only permitted within the fire rings in the BC campgrounds. There are limited facilities once inside the park. Make sure you have enough supplies, and that the car is gassed up. Thanks for the compliment Michael. Our goal is to share an insiders perspective on the regions we cover, both for planning a trip as well as for what the best trails are in the area. 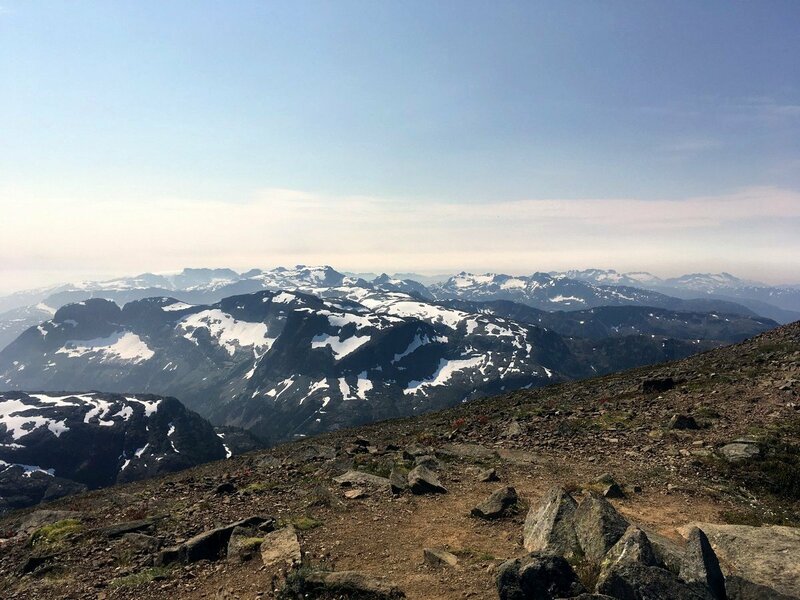 Our contributor in Strathcona is there most weekends hiking, climbing and backcountry skiing, so hopefully he has shared some great local knowledge.